The Chörbschhon is a popular ski tour right up from Frauenkirch, not far from “Davos City”. The tour offers great (!) panoramic views of the Swiss Alps. The ascent is pretty long with 3 hours or 1100 meters uphill. The tour can be done also in difficult avalanche conditions, and thus is popular after a snowfall. View of Chörschhornhütte (an old ski gut, closed usually) towards Piz Ela (right) and Bernina Mountains (just left of the hut). Their several alternative descents: The descent over Staffelalp is usually not the best, the descent over Erber Berg is recommended (better snow and better skiing through the forest below). 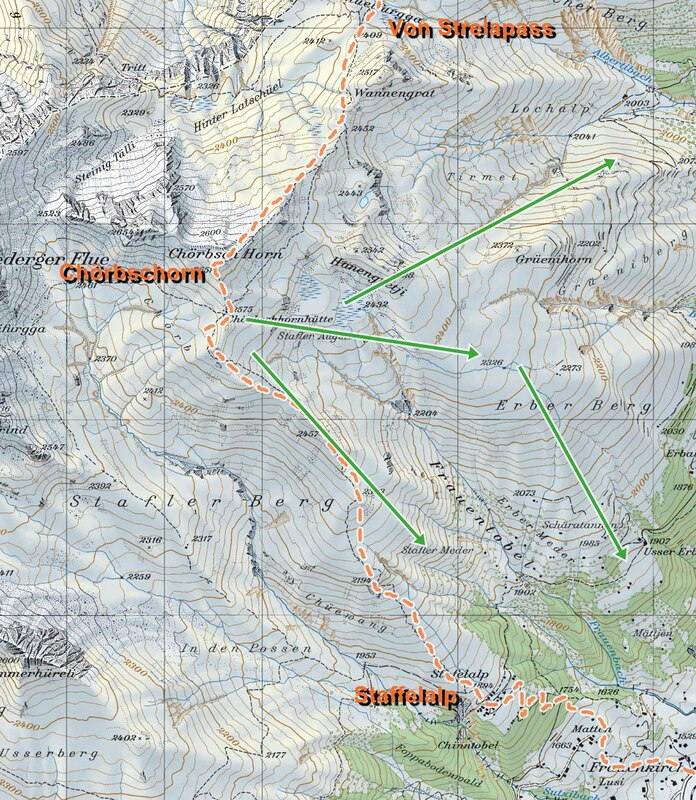 If the avalanche conditions are safe, the descent via Lochalp can be attempted. However, the entrance into the forest is not easy to find and this descent is best done with someone who knows the route. While the Chörbschhorn is popular and you are usually not alone on this mountain, this is a great tour. 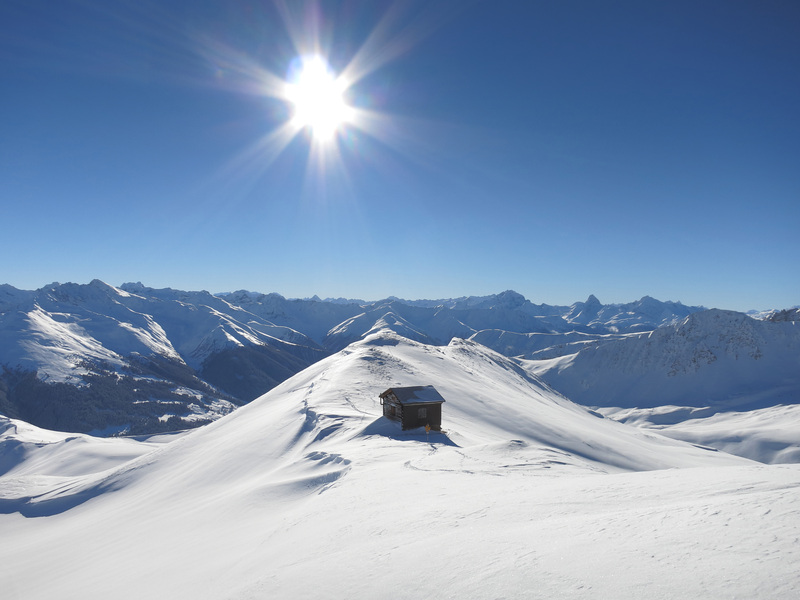 Next Ski Tours Around Monstein (Davos) – Watch Out (for Avalanches)!